The zombie genre is truly the gift that keeps on giving. Ever since Shaun of the Dead made us realise you can have fun with a zombie movie, different takes on the apocalyptic tale have been springing up left, right and dead centre. Take Z Nation, for example. The show ran on the Syfy network for four years until it came to an end (for now) in December last year. It was a zombie-horror-comedy type thing, and served as anathema to those feeling dragged down by the relentless intensity of The Walking Dead. And though it’s great to have a laugh before our impending doom (because the zombie apocalypse is definitely going to happen), it seems things have to get serious at some point. The Walking Dead did, The Evil Dead did, and – sadly – so did Simon Pegg’s career. 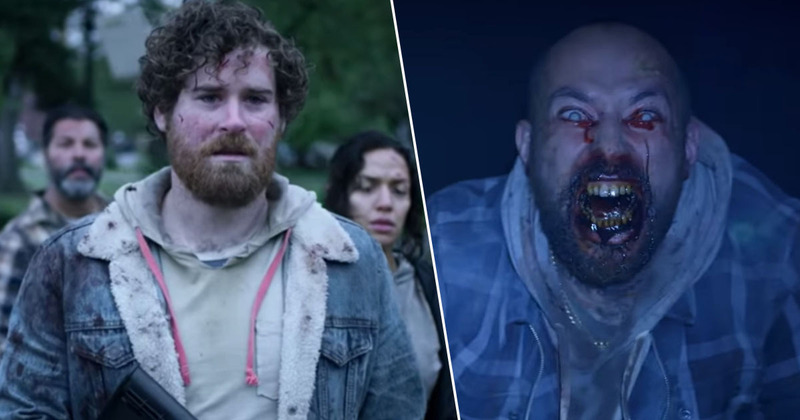 While comedy’s loss is Mission Impossible‘s gain, the route from light-hearted to something more serious has also been adopted by Z Nation‘s creators, who revealed the first trailer for their new series, Black Summer, yesterday, March 18. It tells the story preceding Z Nation, a ‘companion prequel’ of sorts, though it’s much darker than its predecessor. Black Summer in its inception was originally thought of as a spin off of Z Nation but it’s not exactly. Black Summer is referred to in Z Nation as the summer where everything went to hell, so that is where Black Summer picks up. Karl Shaefer is one of the showrunners, but John Hyams is the predominant showrunner on the series and he has brought an incredibly different vision to this show. This show is not tongue-in-cheek, it’s very very serious: it’s as if the zombie apocalypse really happened in 2018 and explores what that would be for all of us. It’s a very unique style that I think people will really respond to. Stylistically it’s going to be very different for fans simply expecting a darker Z Nation, too. It’s starring Jaime King and probably will air in Spring 2019. That’s really John Hyam’s brainchild, he’s the mastermind behind that. Black Summer is set to premiere on Netflix on April 11.